Spyro: Reignited Trilogy is not perfect by all means which would start off with a really good nostalgia that fans have felt back in the late 90's. This page will cover the expectations that were spot on as requested by fans, which Toys for Bob did excellent at. The introduction of Spyro the Dragon starts off with a dialogue setting with an interview with a normal sized Dragon talking about how peaceful the five worlds are. Until the camera panned backwards on the television which observantly gave us that Genasty Genorc saw and heard on the television that he is "simple" "no threat" and "ugly." As those words were said, he then used his staff to freeze all of the normal size dragons into stone with the exception of Spyro and Sparx. Both of these protagonists are there to save all the dragons, collect stolen treasure, and the eggs that were captured by the egg thieves individually. Like the original obviously. While speaking of the cinematography used in the intros and all of the animated dragons in the first installment, Toys for Bob did an outstanding job with the excellent amount of detail they've produced which still made it felt like the first original game with little to big noticeable differences for long time fans. Instead of using recycled dragon models as intended for the original game due to limitations on PlayStation 1 hardware, each one was different and had all if not most of the original Dialogue used in the first installment. What a cool feature! This game deserves an 8/10 I highly recommend this game to played first in the collection if your deciding to purchase this game, If you want to dig straight into the verdict, scroll to the bottom of the page for the recommendation. 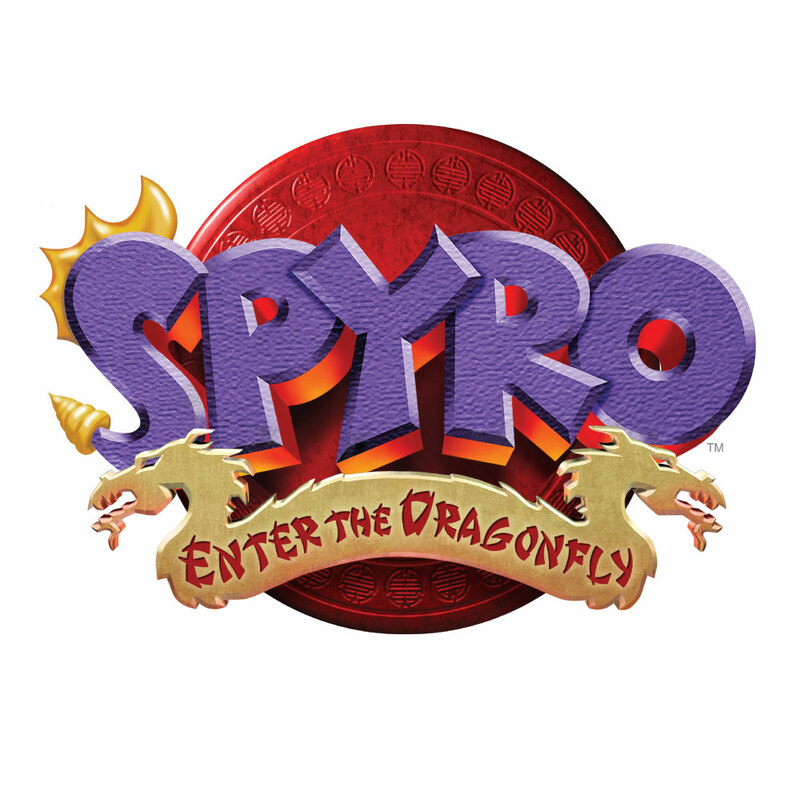 Spyro 2 has now been changed into more of a dynamic teenage/adult setting to the game. The maturity of the game sets big opportunity for a villain like Ripto to become a little more violent in sense of not crossing the teenage rating boundaries while it maintains a maximum rating of an "E" rating within the ESRB (or any other rating system outside of the US territory.) Alongside of the original, it has a lot of improvements that were made to reduce unnecessary and unwanted gameplay if not mechanics for that nature. It boasts a mind blowing amounts of challenge and collectibles to receive, and even better secret ending a.k.a prologue for the ending of the game which is like a story book equivalent that are heavily used in illustration and proper funny subtitles along with it. A lot of people seemed satisfied that Spyro now has a mature voice and matures accordingly which justifies his delivery appropriately since the first installment failed to do so when it was a game that never reached an expectation colossally grew bigger as a franchise (IP.) In this game there are more diversity in new characters than previously before. It expands on more interest in different wide array of characters that have specialized theme's that defines them as memorable characters. Ok, now this is a mediocre game for some if not most. But I have to disagree with that, this game is super fun with the additional playable characters and other gadgets that Spyro can now obtain in playable form. This game has four hub worlds, that consists of four playable characters that are different to each other. You've got Shelia the kangaroo, Sargent James Byrd, Bentley the Yeti, And Agent Nine. Each of these characters have their own world to play while being them. And yes, originally they were sometimes poorly designed in some areas but they were not that bad. I find them pretty fun, while some others out there find them sometimes a pain to use which I don't see at all. But in the remake, It's making me forgivable with their tweaked mechanics that are pumped out a bit if not even better than the original. Toys for Bob made these correct changes appropriately. Well, maybe some that shouldn't be messed with but they are all acceptable and possible to beat I.E. Mini games and different camera angles and the such etc. The graphics look really good and even the music is really good across the board. I wished that we could get a proper Spyro game like the old days. But in my stand point, it most likely won't be as good as the originals which would be hard to do today to make worth the purchase where now and days, you buy expansion packs, DLC, etc. All that annoying stuff like that I just hate so much, Which kills the experience by getting the game digitally which you would have to wait forever or at least a good 10-30 minutes (depends on your internet connection.) Instead of in a instant, like you would when you bought a PlayStation 1 game in a jewel case in the good old days. Which is simply poping the disc into the CD drive of your console and bam! You are on your merry way to something fun and interesting! If your looking for a game to have fun and easy to go around and at least have a young or older sibling play this, this would be a fun time to have a great time. It also really shines for the people that bought this game from the PlayStation one era, that have huge nostalgia with the franchise. It comes in a bundle of three enjoyable games and also not to mention, trophies to 100% completion and over than that combine which totals to additional secrets across three games in this trilogy. For my recommendation for buying it is, I would definitely purchase this for completion, adventure, and great story line in all of the games in this amazing clash of three games. Here's a poll for you guys, which Spyro did you like in the PS1 era more? Post them in a reply down below! I really enjoyed your review and agree with basically everything you said. Particularly appreciate how you focused on the strenght points while still acknowledging the flaws the trilogy has, especially considering the myriad of review which tend to do the opposite. Hard to say which game is my favorite, both in terms of originals and remakes: I love how “free” and explorative Spyro the Dragon feels, but then I’m always in awe at Avalar’s atmospheres and inhabitants and greately enjoy the Forgotten Realms’ challenges and other playable characters. If anything, I think the Reignited Trilogy cemented my appreciation for each game and the series as a whole by making all the aspects I already loved even better, such as the unique Elders or the re-arranged tracks. If I had to decide, I’d go with Gateway to Glimmer first, followed by Year of the Dragon and Spyro the Dragon (which I still consider too barebone compared to its sequels). Would have been an harder decision if the third game were more polished. I’ll definitely have to write my “review” as well, the only problem is that I have an incredible amount of things to say and would like to find enough time to write them down the best I can. For Spyro 2, you can't expect them to add in those glitches, like the double-jump glitch for instance, since that literally broke the game. Glitches are just mistakes, they're not meant to be there, and they're not allowed to ship a game with said glitches, even though there are still some glitches that can be found within Reignited, not intentionally put there obviously. Also, Toys for Bob didn't develop Spyro 3, it was given to Sanzaru Games to develop since Toys for Bob was working with the first 2, and they were running out of time, so Activision had to bring in another developer, if you don't believe me, it mentions in the credits of all 3 games, that Sanzaru is the dev team for Spyro 3. Your review is interesting, and I can understand your points that you make. Spyro 2 is still my favourite, it's my favourite from the PS1 era, and is my favourite of the Reignited bunch, although it has a few minor disappointments, it doesn't completely put me off it for being my favourite. Even though, Spyro 1 clearly had the most polish. With Spyro 3, they did make an improvement on the extra characters, but the only character that feels a little too slow is Sheila, and I find her attacks harder to use, since her legs seem smaller now and her range feels shorter compared to the original. In the original, she moves quite fluid and fast, and now she almost feels as bad as Spyro in Enter the Dragonfly. All the other characters are major improvements, especially Agent 9. He basically feels like Ratchet to control now. Sgt. Byrd can feel odd when you're moving him left and right, but he's nowhere near as floaty and slow as he used to be. In terms of polishing, I’m kinda thorn on which one takes the cake between Spyro the Dragon and Gateway to Glimmer. The former has fewer bugs and hiccups and I personally feel it’s generally a lot more refined and most likely the game they spent the most time on, but from Beast Makers included on it almost feel like they “dropped the ball” regarding the delicate balance between old and new art direction, at least compared to the previous Homeworlds. It’s by no mean an objective problem, but something I strongly felt whether it was because of the designs, the colors or the general tones. The latter manages to capture the right concepts all throught to the end despite reinterpreting a lot and despite having a few bugs and glitches here and there, some worse than others; that being said it’s not like the PS1 games were free from such problems (not only talking about the cool and “useful” ones like the double jump or the swimming in the air, mind it), and I feel like the overall quality of the final result is so high that I’m almost glad they favored visuals and atmospheres over a technically flawless product. Basically, when Spyro the Dragon is at its best it’s quite better than most of what Gateway to Glimmer has to offer, but it doesn’t manage to be consistent enough during the entire experience to ultimately earn the spot. I don't know if I agree with that Drek. Gameplay always trumps graphics for me, and I feel like Reignited has so many little things/glitches that I would've rather had a slightly less detailed game for a better playing game. Gems not spawning/too many gems spawning, the bombs never going straight on the Metropolis ox mission, skateboarding, drifting while flying, etc. Everything that people have discussed. Not to mention the motion blur. I do agree with Caddicarus in the fact that the motion blur is a compensation for all that detail, but like him, I would've preferred a slightly less detailed game for a game that didn't rely on motion blur to mask the fact that the game/consoles it's on probably can't handle all the detail without it. Year of the Dragon's glitches in the original were bad, but they required kinda specific things to happen (e.g. the speedway bug - leaving early, and the Fireworks Factory gems glitches - ACT set to easy), but at least for the latter there's a fix for that, and they fixed those bugs in the greatest hits version. For Reignited, they're going to have to retool the skateboarding's physics and collision entirely, and I'm not sure if TFB/Sanzaru will do that. Graphics may leave an impression, but I think glitches leave a lasting impression on people. Do people talk about how beautiful Lost Fleet is in Reignited? Sure, but you have way more people talking about how the skateboarding in that level is glitchy and unfinished. Am I blind or something? I have yet to notice any problems with motion blur or slow down, and I've been playing this game since November. I haven't even encountered any game-breaking glitches yet, and I've been playing the heck out of Year of the Dragon. I'm not saying these problems don't exist, but everyone seems to make these problems out to becoming an obvious, and if these problems happen so frequently, why haven't I encountered them yet.? I should have probably put more emphasys on the “almost”, shouldn’t I? I know those problems exsist, and even though many of them don’t bother me that much I am not going to ignore the fact they could be very annoying for other people. The Lost Fleet game-breaking glitch is easily avoidable but that isn’t an excuse for such an huge oversight, and the many data corruptions reported aren’t excusable either. Didn’t have that many difficulties with the skateboarding, cameras and other characters but if so many players find those to be problematic then they should consider tweaking them as well. What I meant was simply that I’m very glad both Toys for Bob and Sanzaru understood how much of a key aspect the aesthetic and art-style of the Spyro games are, especially since I consider those to be some of the strenght points of the PS1 titles even to these days, to the point of being willing to let some problems slide in favor of a top notch visual impact. Motion blur doeesn’t bother be that much, but I can definitely see why it could seriously harm someone’s experience and they should definitely consider adding an option to remove it: God of War has it and the game looks amazing even without the fake fluidity. Both studios should improve and learn fom their mistakes, but should also be able to understand where they did right and what they should keep and even enhance in the future by hearing the fans’ appreciation. All of that being said though... Is it really the game or the developer’s fault that people overreact for anything and straight up ignore the good stuff to focus solely on the issues? Sure, some people had terrible experiences due to the worst bugs and corruptions but I find hard to believe that all the ones complaining about “game-breaking problems” truly had their playthrough ruined bacause of a few hiccups here and there. I do strongly believe that keep evidencing only the bad sides is just as deleterious as completely ignoring them, and to some degree I’m convinced many players choose to let the problems they encountered cloud their enjoyment of the remake. Not all of them obviously, but I’d argue a good majority did so consciously or not. I appreciate your comment, thanks for reading! I appreciate your support, I will try to make more of these posts on different subjects relating to spyro or something else. I know I have said this before, and no one seems to want to believe me no matter how much I say this, but people tend to be more critical of games that don't star humans. They will often times look for every problem they can find in a game like this, while ignoring all the vast amount of problems that, say, Super Mario Odyssey or Hat in Time has. I've always hated this because it's a pariah to creativity, and has pretty much stopped games like this from existing or doing well about a decade. Finally got 'round to buying the game, and I've played a bit of the first game before I work on a video series giving my first impressions (A Bit Of Spyro: Reginited Trilogy, sorry for the shameful plug), and I agree with what you've said in regards to the dragon details. I'm over the fact TFB aren't going to try to recapture my nostalgia of the games, because these aren't solely my games PURGE THE UNBELIEVERS and they've millions of customers to appease, so they did the next best thing and improved upon it. What I liked was that they gave the Artisans (as that's all I've played) each a profession or skill, which is beautifully animated throughout their cutscenes and even at the end where a mishap usually takes almost out of view. It's not like the original, so there's hits and misses, but they get points for effort. So many points for effort. I've avoided reading the rest of the review until I get around to those bits of the Trilogy, but I'm quite impressed with your write-up. Gonna peruse the forums to see what the opinions are ALL SHALL SING OF HIS PRAISES OR BE CAST TO THE FLAMES, if I can avoid too many details. Shouldn't take me too long to complete the Trilogy anyway, so I may return as a regular PREACHER OF THE AMETHYST GOSPEL poster. I understand that some of the choices were a bit odd and the way Guinness did the poll was a bit weird too, but if people don’t like animal characters as much as you say, then how did any of them make the list? Nostalgia. That's how. Sometimes people will be nicer to something if there is Nostalgia attached. This, however, is also dying down from what I can tell. Some of those are too recent, or have gotten games too recently for it to be just "nostalgia", though? Yeah tbh. Ratchet is on that list and he had a game that was fairly recent. Same with Pokemon which is still on going. .__.